Welcome to Charma Communications a boutique creative agency. Luxuriant business solutions, supporting aspiring and ambitious entrepreneurs from Idea to Launch & Beyond! We work with entrepreneurs within the creative, luxury and lifestyle industries, providing Business & Brand Consultancy, Online and Digital Strategy and Implementation including, Web Design & Development (Portfolio, E-Commerce, Membership and Learning Management Systems), Lead Generation and Conversion (Squeeze and Landing Pages, PDF’s & opt-ins and Analytics) and SEO. Our marketing services include; Instagram, Facebook & Youtube Marketing (Organic & Paid Social Media), PPC (Google Adwords & Bing), Email Marketing & traditional solutions such as Graphic Design, Copywriting, Direct Mail & Printing Solutions. Luxuriant business and brand consultancy, taking you from Idea to Launch! Business growth & brand consultancy to take your brand or business to the next level! Visual Branding, Design and Marketing Solutions to take your business from Lack Luster to Luminosity! Providing Printing Solutions to help your business Juxtapose + Shine! Vibrant Visual Branding, Design and Marketing Solutions for Health, Fitness, Beauty and Well-Being businesses! A place for entrepreneurs and small business owners to network, learn, mastermind, grow and have fun amongst a group of like-minded creative souls. A lot has been happening behind the scenes and we hope to launch our new websites for our brands including; The Idea To Launch Academy, Juxtapose! Print Shop & personal site selinacharmaine.com over the next couple of months. We took part in the London Southbank University accelerator programme Momentum in 2016 and won the pitch for our cohort. We were also selected as 1 of 100 small businesses in the UK as part of the 2016 Small Business Saturday #SmallBiz100, find out more about the initiative below. 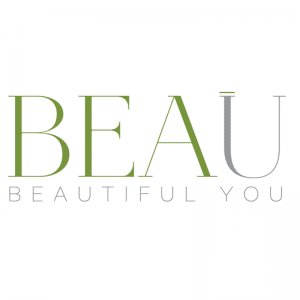 BEA U – Beautiful You is a publishing product of Charma Communications, this platform incorporates editorial content, a directory, offers & competitions and personal services covering Health and Wellness including Fitness, Nutrition, Complementary Therapies and Well-Being. It also hosts our dedicated marketing platform for businesses in the health and well-being industries BEA U Marketing. 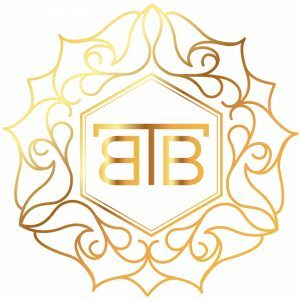 We re-branded The Beauti Bank, a luxury mobile beauty service, designed to be convenient and cost-effective for people who want to look and feel good but lack the time to go to a salon or access beauty services. We also worked with founder Lanre, on their online presence at thebeautibank.com through our health and well-being focused brand ‘BEA U MADE’. Stushlery.com an e-commerce website developed for recording Artiste $tush’s bespoke jewellery line. Since it’s launch Stushlery has been positively received in the luxury jewellery market and owner Julie has created and sold bespoke pieces to clientèle far and wide including Camilla, Duchess of Cornwall. The portfolio website for this family run building service is almost complete allow the local company to have a global presence. We have worked on the branding and business stationery for this commercial & domestic company and are now designing their brochure website.